A selection of the latest news stories and editorials published in Iranian news outlets, compiled by AEI Critical Threats Project Iran Analysts Marie Donovan and Mehrdad Moarefian, with contributors Warren Marshall and Dianna Timmerman. To receive this daily newsletter, please subscribe online. Key Takeaway: Media push ahead of Mohammad Rasoul Allah exercises focuses on improved Artesh Air capabilities. Hamas official highlights return to improved relations with Iran. Iran and Mexico commemorate fiftieth anniversary of establishment of diplomatic relations. 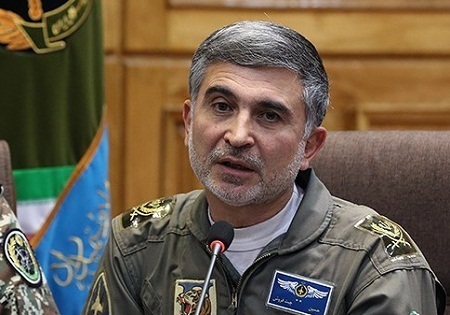 Artesh Air Force Spokesman Brigadier General 2nd Class Hossein Chit Foroush stated that the “greatest message and achievement” of next week’s multi-service Mohammad Rasoul Allah exercise “…is that the Air Force has reached self-sufficiency for years,” further focusing the expansive propaganda around the exercise on the Artesh Air Force. Foroush’s comments reflect a desire to use the exercise to display the Artesh’s improved air defensive capacities. Senior Hamas official Mousa Mohammad Abu Marzook said that Hamas’s relationship with Iran has “never been cut, but (today) we have returned to the (previous) routine which we hope will bring stability and progress.” Marzook’s comments follow Hamas co-founder Mahmoud al-Zahar’s call yesterday to strengthen relations with Iran. Their comments reinforce Hamas’s need for improved relations with Iran, which deteriorated in 2012 after Hamas moved its headquarters from Damascus and Iran cut its funding to the organization. Iran and Mexico commemorated the fiftieth anniversary of the establishment of diplomatic relations, emphasizing their shared interest in deepening bilateral relations. The Rouhani administration has made a concerted effort to improve its outreach to Mexico, including sending a parliamentary delegation to Mexico City this month.